How many times have you decided to exercise and not taken action? You know exercise is good for you, yet the motivation hasn’t surfaced. There is definitely a difference between knowing you should do something and wanting to do something, and exercise often gets pushed to the side because quite frankly no one really wants to do it.The key to exercising, and wanting to exercise, is twofold. The first component to success is to find an exercise that you actually like. No joke, there are probably dozens of exercises that you would find fun and enjoyable. The second component of this is to align your new found fun exercise options with your goals. 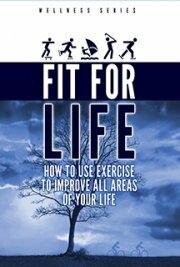 In this eBook we’ll take a look at 15 ways that exercise improves your life.